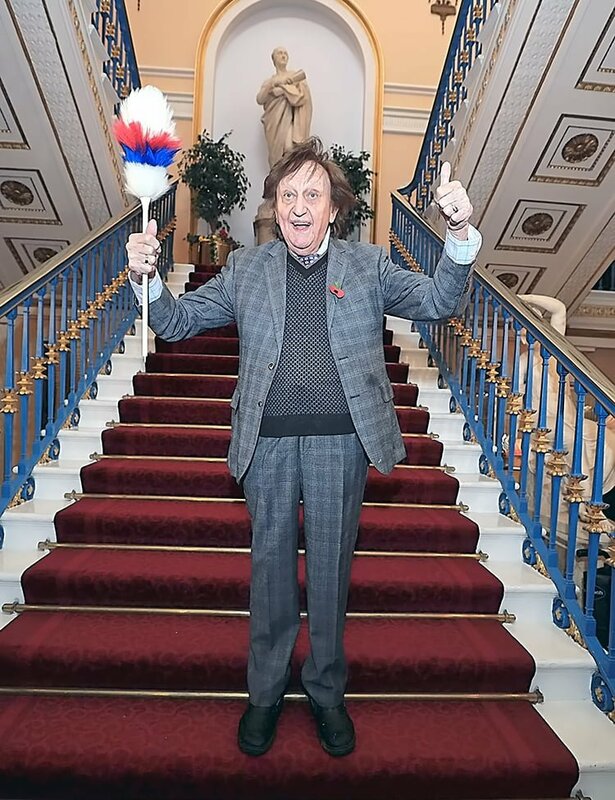 KEN Dodd has been described as “the last great music hall entertainer”, and was primarily known for his live stand-up performances. Kenneth Arthur Dodd was born on 8 November 1927 in Knotty Ash, Liverpool, Lancashire, the son of a coal merchant, Arthur Dodd, and wife Sarah (née Gray). He had an older brother, William (1925–2011) and a younger sister. He went to the Knotty Ash School, and sang in the local church choir of St John’s Church, Knotty Ash. A lifelong resident of Knotty Ash he died in the house he was born in and shared with his partner Anne Jones, a former Bluebell dancer who appeared in his shows playing the piano, guitar, flute and singing. He asked Anne to marry him just two days before he died. 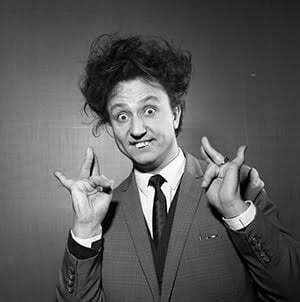 Sir Ken Dodd’s career as an entertainer started in the mid-1950s. Identified by his unruly hair and protruding teeth, his red, white and blue “tickling stick” and his upbeat greeting of “How tickled I am!” Ken was a family favourite for many years. At the age of 7, Doddy was dared by his school friends to ride his bike with his eyes shut. He accepted the dare, crashed and sustained facial injuries which resulted in his distinctive buck teeth. Ken attended Holt High School, a grammar school in Childwall, but left at age 14 to work for his father. Around this time he became interested in show business after seeing an advert in a comic: “Fool your teachers, amaze your friends, send 6d in stamps and become a ventriloquist!” and sending off for the book. Not long after, his father bought him a ventriloquist’s dummy and Ken called it Charlie Brown. He started entertaining at the local orphanage, then at various other local community functions. He got his big break at age 26 when, in September 1954, he made his professional show-business debut at the now-demolished Nottingham Empire. A nervous young man, he sat in a local milk bar for most of the afternoon, going over and over his lines before going to the theatre. He later said, “Well at least they didn’t boo me off”. He continued to perform, and in 1955 he appeared at Blackpool, where, in the following year, he had a part in “Let’s Have Fun”. His performance at the Central Pier was part of a comedy revue with Jimmy James and Company. Also on the same bill were Jimmy Clitheroe and Roy Castle. 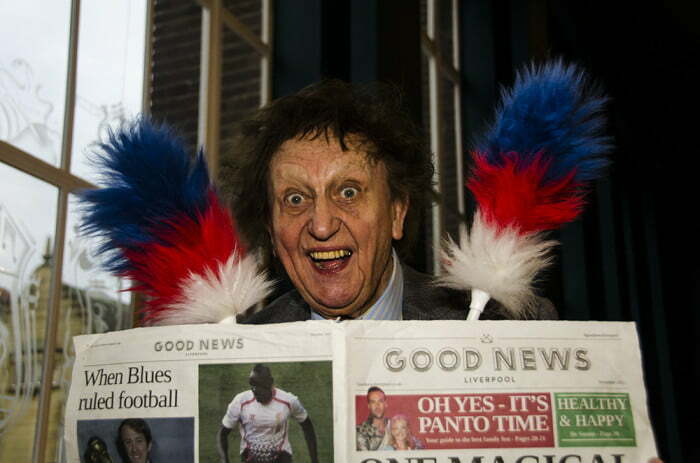 Ken Dodd first gained top billing at Blackpool in 1958. He was a guest on innumerable television and radio shows and made many appearances on BBC TV’s long running programme, The Good Old Days. His theatre performances would run for many hours, frequently past midnight leaving members of the audience exhausted with laughing. During the 1960s he earned a place in the Guinness Book of Records for the world’s longest ever joke-telling session: 1,500 jokes in three and a half hours (7.14 jokes per minute), undertaken in Liverpool, where audiences were observed to enter the show in shifts. He interspersed the comedy with songs, both serious and humorous, and with his original ventriloquism featuring ‘Dicky Mint’. Ken had several hit singles primarily as a ballad singer in the 1960s these included, Happiness, Tears, So Deep Is The Night and Eight By Ten. 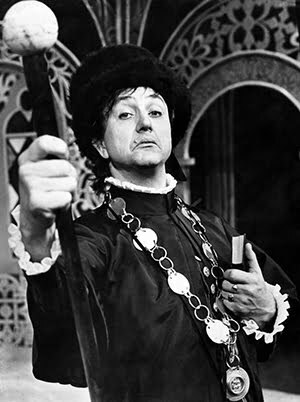 He occasionally appeared in dramatic roles, including Malvolio in Shakespeare’s Twelfth Night on stage in Liverpool in 1971; on television in the cameo role of ‘The Tollmaster’ in the 1987 Doctor Who story Delta and the Bannermen; and as Yorick (in silent flashback) in Kenneth Branagh’s film version of Shakespeare’s Hamlet in 1996. In the 1960s his fame in the UK was such that he rivalled the Beatles as a household name, with his recording of “Tears” being the UK’s third-best-selling single of the 1960s. His records have sold millions worldwide. Ken Dodd has appeared on many Royal Variety Performances. The most recent was in 2006, in front of Prince Charles and his wife Camilla, at the London Coliseum. In 2012 at the age of 84, he played the Princes Theatre in Clacton-on-Sea, Essex on 7 July. Starting at 7.15 pm he continued until just before 9.00 pm when Sybie Jones took to the stage. Returning at 9.30 pm he continued until 10.00 pm. The second support act performed until Dodd’s return just before 11.00 pm when he continued until 00.25 am. Ken Dodd became one of the rare entertainers to be given a second show of An Audience with…. This show was entitled Another Audience with Ken Dodd originally broadcast in 2002. He was made an honorary fellow of the University of Chester on 4 November 2009, having been awarded the honorary degree of Doctor of Letters at a graduation ceremony in Chester Cathedral. His doctorate was presented by Gerald Grosvenor, 6th Duke of Westminster. He was awarded a Doctorate of Letters at Liverpool Hope University on 25 January 2010 during the university’s Foundation Day celebrations. In 2016 Ken Dodd was awarded the Aardman Slapstick Comedy Legend Award, a recognition of his lifetime’s contribution to the world of comedy. 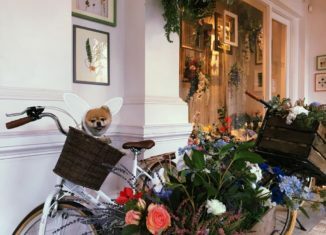 He received the award at an event hosted by Dr Mathew Sweet. He was appointed Officer of the Order of the British Empire (OBE) in 1982 for services to show business and charity and was knighted in the 2017 New Year Honours for services to entertainment and charity. The award was formally conferred by Prince William, Duke of Cambridge in a ceremony at Buckingham Palace on 2 March 2017. His stage career lasted for over 60 years, and he continued to perform, when his health permitted, until his death at the age of 90. Ken was loved by not only by the people of Liverpool but by people all over the world and Liverpool has lost a true comedy legend.